Vendors say this is their favorite event of the season. 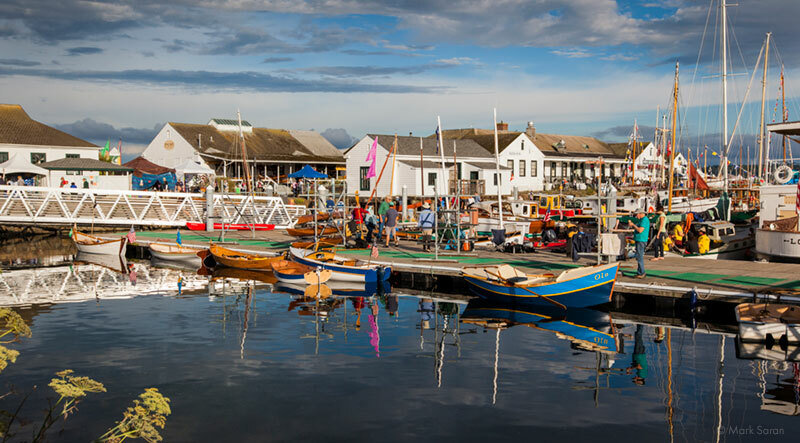 With thousands of festival-goers each year, the Wooden Boat Festival is the perfect place to exhibit your wares and get the maritime audience you've been looking for. Whether you're trying to broaden the reach of your nonprofit or market your cool new product, we hope you'll apply. Keep reading to find out how you can be a vendor at next year's Festival! 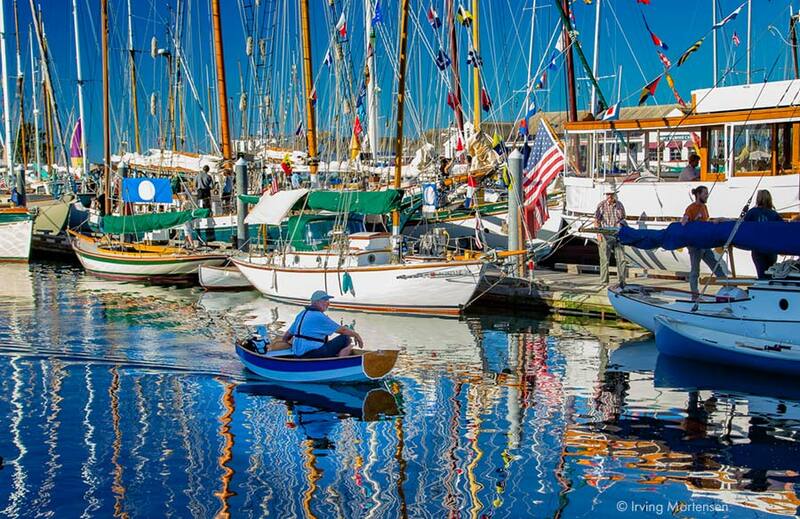 To be accepted, products must fit nautical, wooden boat and maritime audience. Festival Hours are Friday and Saturday from 9 AM to 6 PM, and Sunday from 9 AM to 5 PM. You agree to stay open until 4 PM Sunday. You will not be invited back if you leave early. Move-in is the Thursday of Festival after 12:00 PM. We have very little time to set up the Festival. Please be aware your tent may not be set up if you arrive early; please be patient. Your lanyard (including a parking pass) may be picked up at Festival HQ anytime Thursday. HQ is located at the exhibitor entrance to the Festival. Parking is EXTREMELY limited. Each exhibitor is provided with one parking pass, but this does not guarantee you a spot. We encourage you to carpool. You are assigned space according to what you purchased. Extra space is available to purchase in front of your space or tent. See pricing below. The layout of the Festival is a moving puzzle. If you have been coming for years, it’s likely you will have the same spot; however, there are many logistics and factors in play, and sometimes we have to move things around to fit everyone in. Preference is given to sponsors. You will be notified of your location in mid August, along with directions, maps, and final notices for the 2018 Festival. Your own 100-foot extension cord of the appropriate size for your load. Please label both ends of cord with your business name. No vendor may run extension cords over 100 feet. No cords will be provided by WBF. Zip ties for hanging or securing displays to the bars of your tent. You must clean up your zip ties before departure; please use them sparingly. 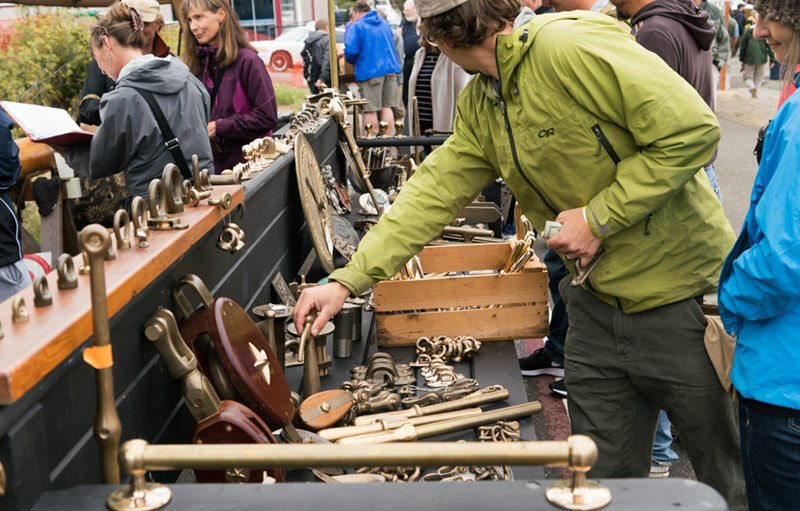 The city of Port Townsend will be inspecting all vendors in 2019. You are responsible for leaving your area totally clean. Please pick up everything that came with you, including the zip ties that held the display together, and by-products from your display: metal shavings, wood chips, etc. If you leave your area for Festival staff to clean up, you may not be invited back. Dumpsters for trash and recycling are in the “Back 40.” You will receive a map via email closer to the Festival with all services. No exhibitor may sell logo t-shirts, hats, sweatshirts, or posters on site. No bottled water sales or single-use, plastic-bottled drinks allowed on the Festival grounds. Dogs are not allowed on the Festival grounds. Tents come with one table and two chairs—you can order more when applying. Step 1: Complete the application process including waivers. Step 2: Within a few days you will hear via email if we can accept you. Step 3: Within a week after acceptance, you will receive an invoice via email from our finance department with options and instructions on how to pay. What are the benefits of renting a tent from you? • They have 4 sides so you can completely close up at night. • They are very heavy-duty, staked or weighted, and unlikely to blow away. • They are very secure. What are the benefits of bringing my own tent? Can I purchase extra space? Extra space is available during the application process. You pay for the space you sign up for. If you would like some sprawl space, that is possible and recommended! How do you choose who is accepted? The Festival Committee will review applications and generally let you know within a week if you have been accepted. Applications are accepted according to the following parameters: relevance of business, service to boating/festival community, and previous experience (if any) at Festival. How do you decide who exhibits where? Placement in Festival is according to years in Festival, electric and other needs, fit and relevance to other vendors, sponsorship level, and application date. We try our best to accommodate everyone’s needs and wishes in booth placement. Every location has its benefits and limitations. How do I increase traffic to my booth? • Have an eye-catching banner raised up above the main entrance to your tent. • Be engaging! Reach out to the public. • Advertise in the program! • Drive people to your booth with something enticing: a contest, a drawing, or a giveaway. We have security that patrol throughout the night. You are responsible for the safe-keeping of your merchandise and equipment. Can I access my space by car? Most locations are not accessible by car during the Festival. If you require a location that you can drive close to, let us know ahead of time and we will place you accordingly.